Due to the shutdown of the U.S. government, the SpaceX’s Falcon Heavy testing has been affected. SpaceX has confirmed that civilian staffing restrictions means that the U.S. Air Force can’t static fire test the Falcon Heavy rocket. The 45th Space Wing is the department of the Air Force which supports space missions. According to The Verge, it has been unclear if the static test could be conducted without the 45th’s support, or whether the test will be postponed until the civilian staff is not restricted any longer. However, now it’s been confirmed that the static fire Falcon Heavy testing is on hold. The SpaceX Falcon Heavy testing has already been postponed several times, while the vital test has been scheduled for later today, after a fueling test conducted yesterday, according to SpaceflightNow. 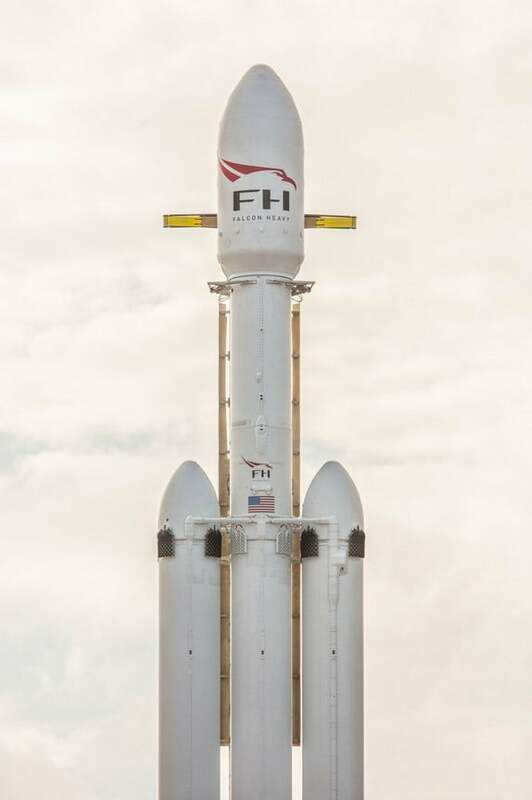 During the static Falcon Heavy testing, the engines of the rocket will be fired at full thrust for a couple of seconds, while the rocket will be strapped to the launch mount. The data engineers analysis will help them prepare for the rocket’s official launch. SpaceX’s Falcon Heavy rocket has the equivalent power of 18 jumbo jets at liftoff. The rocket has been made out of three Falcon 9 rockets combined together. Falcon 9 is the same type of rocket which delivers supplies to astronauts onboard the International Space Station. As such, Falcon Heavy is equipped with 27 Merlin engines. On the other hand, Falcon 9 has nine, according to SpaceX’s website. The SpaceX Falcon Heavy is capable of taking the largest payload since the Apollo lunar program’s Saturn V and can carry up to 140,660 pounds into low-Earth orbit. The Saturn V could carry 310,000.